Times are changing in the power tool world. We’ve heard from our sources that a few of your favorite brands are exploring complete technology integration when it comes to your tools. 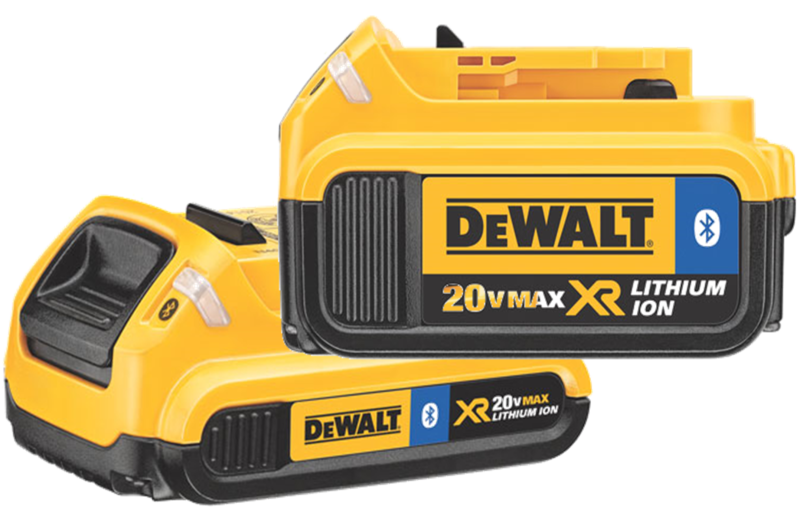 Just last month, DeWALT announced its addition of Bluetooth technology into a new line of premium 20V 2.0 Amp and 4.0 Amp lithium-ion batteries. Now you can pair your batteries with a free app on your Apple or Android device. With this, you can greater control over your tools and control them from your pocket. After the initial setup, which only takes a few seconds, you can pair your new batteries with your phone or tablet. This allows you to check the charge level and power on or off a battery with the touch of a screen. So why does this matter? For starters, you can keep an eye on where your tools are, have an up-to-date inventory, and know when it is time to charge your battery or replace it. On a larger scale, this new design should cut down on tool theft. Batteries are of no use to someone once you’ve shut down the power. In addition, you can increase the overall battery life and conserve power by shutting down all batteries at the end of the day. With the various alerts, you should know when your batteries need to be charged, are finished charging, and if your battery has left a job site. Check back with our stores in the coming months to see when we have the new batteries in stock.